Ewa Beach Buy & Sell has opened HiFishGear.com an extension of their existing store Ewa Beach Buy & Sell. 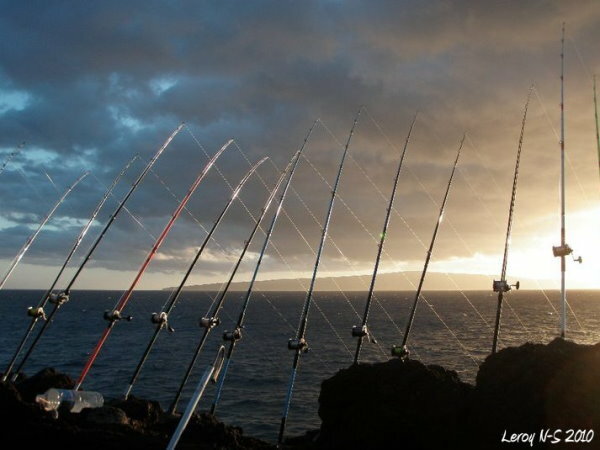 The site features many of the popular products they sell including locally-made lures, Ulua Poles tackle, accessories and more. They offer Next-Day Delivery to all Hawaiian Islands on orders placed before 4pm Monday-Friday! If you’re looking for Fishing Supplies be sure to check out HiFishGear! iFishHawaii is proud to announce the addition of Kauai Angler Fishergirl to our resident blog writing staff. 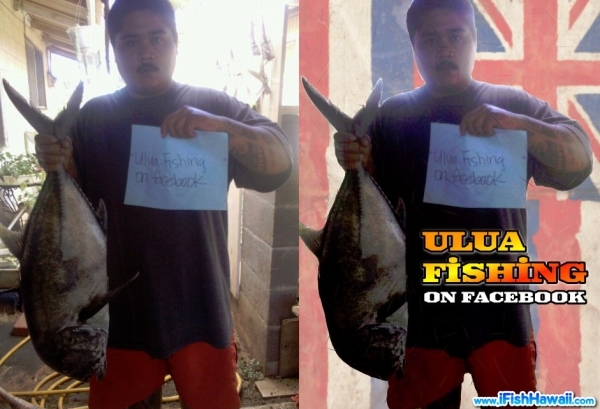 Ulua Fishing on Facebook reached 1000 fans (likes) in July. In celebration of reaching the milestone, the page offered the next fan to bring up an Ulua statewide the opportunity to be the face of the page til the end of the year. Within two days of the offer, Devin R. from Maui pulled up this 12lb White Ulua. Congrats Devin! 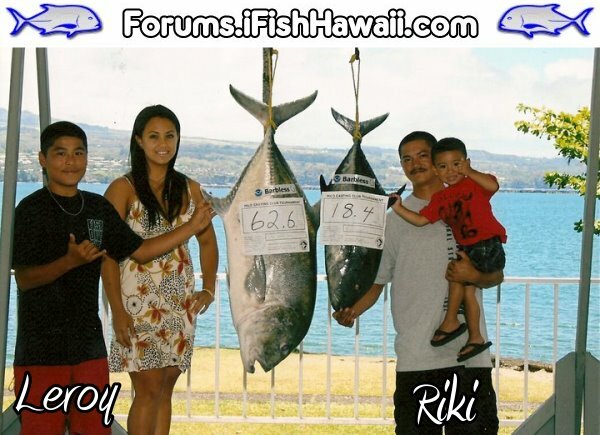 Congrats to Forum Member Leroy S. who won the FREE monthly Ulua Fishing contest for July 2010 with his 62.6lb Ulua he caught on the Big Island. Congrats to Forum Member Wanksta808 who won in June 2010 with his 41lb Ulua Caught on Kauai. Copyright © 2019 iFish Hawaii. All Rights Reserved.